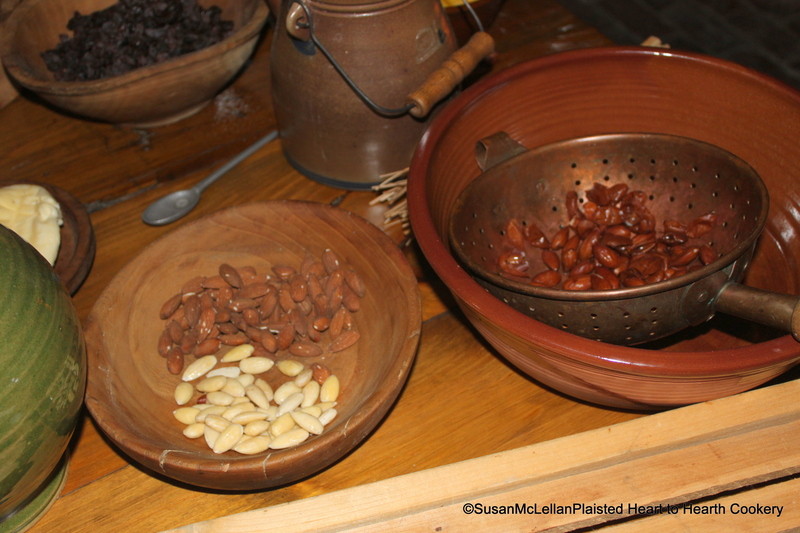 The next ingredient to prepare for the receipt (recipe) To fry Olie-koecken is the almonds. Peter Rose’s translation of the Dutch reads: a quarter pond or one and a half (quarter pond: 6 ounces) peeled Almonds. After weighing the almonds, they were added to a kettle of heated water, now draining in my colander, and the skins slip off easily when the almonds are not allowed to completely cool.